The holidays are a magical time of year. Decorations are up, we gather with family and friends, sing carols and drink hot chocolate. It can also be a stressful time of the year. The weather is colder, and our bodies are adjusting. Crazy, crowds at the malls and sometimes our families are as much stress as joys. How do we stay healthy and sane during this time of year? This is a powerful two letter word. We only have so many hours in a day. It is ok to say no. Practice it in front of a mirror if you need to. Even during this busy time of giving and family and friends it is important to take time to recharge. Take a little time for yourself. Make a cup of hot chocolate and sit by a fire for a few minutes. Make sure you are going to bed at a reasonable time. Fill up your own cup. If you don’t you will not have anything to give to anyone else. You may be wondering about this one. With all the gatherings why make your breath smell? Garlic has some powerful effects on boosting your immune system. 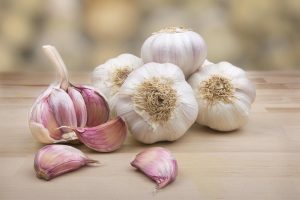 Garlic’s antimicrobial, antiviral and antifungal properties can help relieve the common cold as well as other infections. It can help keep you healthy during this cold and flu season. Go ahead and add it to many of your favorite recipes. Maybe skip the garlic egg nog. This is the time of year for backing all sorts of holiday goodies. Sweets are at every turn. Be mindful of how many you are eating. It is fine to have some but over indulging will not only add to your waist line but can leave you open to getting sick. Consider trying some more healthy alternatives to your favorite recipes. Even adding whole wheat flower instead of white can make a difference. It can be fun to try new things with your kids. Have a plan, you don’t need to schedule every moment from Thanksgiving until New years but have some sore of plan. Put in the things you love the most and plan the rest around that. Waiting until the last minute can stress us out leaving us resentful and overwhelmed. Remember to enjoy this time of year. It can be hard when you are in a crowded mall and someone just grabbed the last toy your kid wanted. 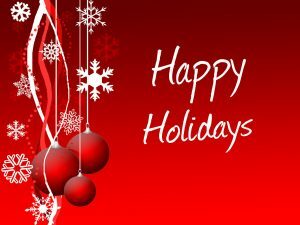 Take time to enjoy spending time together, to give back and remember the true spirit of the holidays. Changing our mind sets to be one of joy rather than overwhelm can make a profound difference. Place signs around your home to help remind you of why you do all these things. I hear so much about garlic and its different uses. I ought to try more of these ideas that I find. I love garlic so definitely this is a great tip for me! During the holiday time it is true we forget about ourselves and we just l keep moving on. Taking time for one self is important. Garlic is amazing for so many reasons and has so many uses. Thanks for sharing this information. Good tips there. I’m currently practicing to say NO. One can easily get weighed down especially if they don’t know how to say these two magic words.